“Salem Express”, an Egyptian ferry, left the port of Jeddah on December 16, 1991, carrying hundreds of passengers, mostly pilgrims, and vehicles. 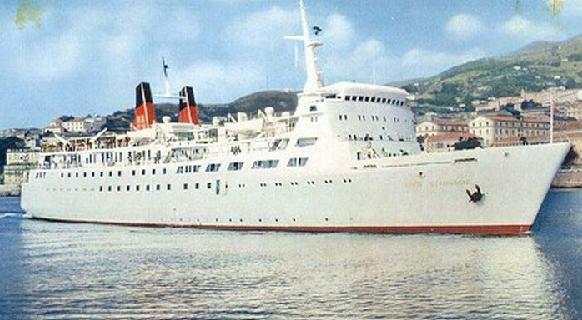 Based in Port Safaga, she used to provide ferry services between Egypt and Saudi Arabia. As night fell, the weather turned extremely windy. 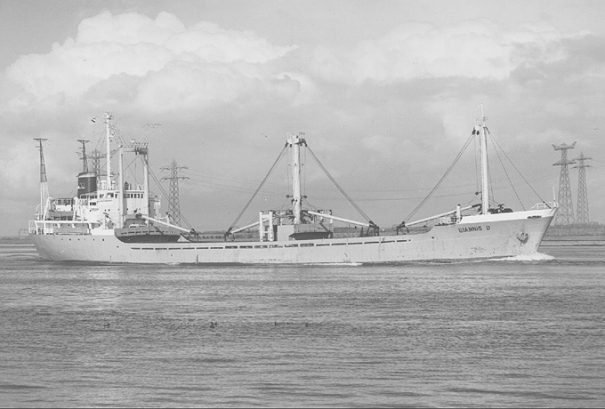 Trying to ease the substantial discomfort of the passengers, the captain navigated the boat northward close to the shore, reaching the area between the shore and the Hyndman Reefs by midnight, a treacherous route even in calm weather. They were only about 10km from their destination of Port Safaga. It was impossible to see the reefs ahead and the boat struck one of the southern reefs. The impact created a huge rip, about 10m long, in the forward hull and opened the hatch to the car deck, allowing tremendous amounts of water to rush into the vessel through not one but two entry points. It took only 20 minutes for the ferry to give in and sink. There was no time to even deploy the life rafts. Many people perished while others tried to swim to safety in the brutal weather. What helped was that the currents were actually carrying them toward the shore. From the 650 persons (official record), 180 survived. The captain, who could have provided answers as to what had really happened, lost his life along with most of the passengers. 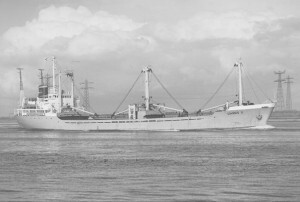 Efforts were made to remove the remaining bodies from the wreckage but once the operation had become too dangerous, the wreck was sealed by the navy from further entry. 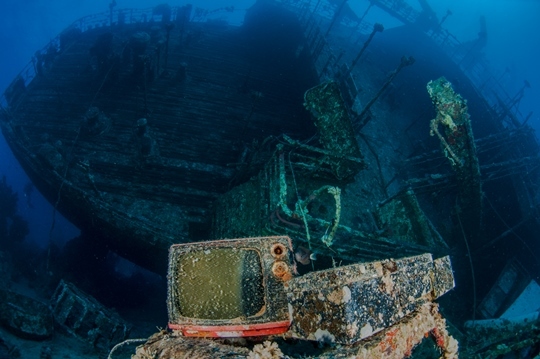 To this day, dive guides do not permit divers to enter the wreck as it is considered to be a cemetery of sort. In size she almost mirrors the Thistlegorm and she is one of the larger wrecks in the Egyptian Red Sea. She rests at about 30m on the seabed on her starboard side. 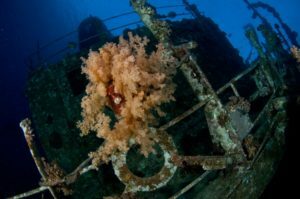 It is easy to swim around the large wreck and investigate the superstructure. The infamous hatch to the car deck still lies open as if waiting to load and unload vehicles. The upper port side of the wreck is at about 10m. Many doors are visible that used to allow entry to the inside which are now sealed. There is a chance to look inside the wreck through the windows of the bridge though there is not much to see as all moveable items had fallen onto the starboard side, which is now the bottom. The portside propeller is an awesome sight. It has not been colonised yet by the usual sea organisms one can find on older wrecks. However the starboard propeller, under the hull, has become home to beautiful red corals. The dive is more exciting over the railings, on the port side. The main deck is in very good condition and it provides an impressive view, especially in the morning light of the sun. When swimming down the starboard side into the deeper waters, a few life boats are visible on the seabed, still attached to the boat by ropes. From here the two huge funnels, connected by a stabiliser, are also visible with their large “S” marks. The aft deck, where deck passengers were stationed, used to be shaded from the sun by corrugated iron roofing the remains of which now lie scattered on the seabed. 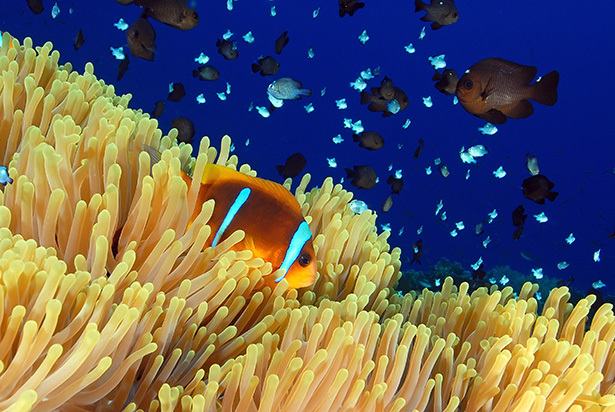 The wreck is already covered by beautiful hard corals and is home to a large colony of fish. Shoals of sweet lips swim around the stern section keeping company with angelfish, butterfly fish and goatfish. In the sand blue-spotted stingrays slither around.